Across the college, we bid farewell to 24 faculty and staff. Thank you for your work and best wishes for the future! The fall semester brings new faculty to 14 of our 21 departments. Welcome to the college! Tom Cervone began work July 1 as interim managing director of the Clarence Brown Theatre. 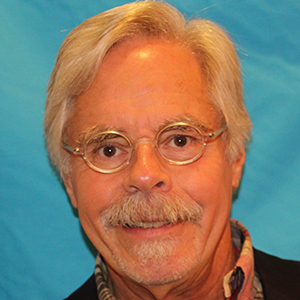 Cervone returns to the university following a five-year hiatus during which he served as executive director for both Dogwood Arts and the Historic Tennessee Theatre Foundation. Prior to that, Cervone spent 23 years as managing director at the Clarence Brown Theatre. Cervone received his undergraduate degree in Speech and English education with an emphasis in theatre from West Liberty University in West Virginia. He has both his MFA and MBA from UT. A national search for a managing director will commence soon. Professor Bentley comes to UT from the University of Houston where he was a professor in the Department of Comparative Cultural Studies. He received his PhD in anthropology from the University of Wisconsin and is currently an honorary faculty member in the School of Social Science and Community Medicine at Bristol University in the United Kingdom. Bentley’s research focus is two-fold. In the laboratory, he investigates prehistoric kinship and community structure from skeletons. He also develops data-driven theoretical approaches to collective decision-making in communities and how they change over time. His latest book, The Acceleration of Cultural Change: From Ancestors to Algorithms, comes out in September with MIT Press. Professor Kalafsky joined the faculty in the Department of Geography as assistant professor in 2006 and served as associate department head during the 2016-17 academic year. Kalafsky received his PhD in geography from the State University of New York at Buffalo. Prior to his appointment at UT, Kalafsky worked as an assistant professor in the Department of Geography and Earth Sciences at the University of North Carolina at Charlotte. His research topics include regional economic development and the export-related strategies, performance, and challenges of manufacturers, in addition to geography education. Professor McKinney began teaching at UT in 1985 as an assistant professor of geological sciences. In 1999, he became a professor of geological sciences and ecology and evolutionary biology in the College of Arts and Sciences and in 2001, he added director of the newly formed Environmental Studies program to his list of titles. McKinney received his PhD in geological sciences from Yale University. His research interests focus on urban ecology, creating sustainable cities, and biodiversity conservation. The start of a new academic year brings a shake-up in our interdisciplinary programs (IDP), which continue to draw students to the College of Arts and Sciences. Due to its increase in majors and popularity, the Sustainability program is now part of the Department of Geography as an undergraduate degree program. Melissa Hinten, geography lecturer, is excited about the merge and looks forward to seeing students benefit from the program in its new home within the department. The IDP known as the Women’s Studies program is now Women, Gender, and Sexuality Studies program. Dedicated to the study of how gender and sexuality shape the past, present, and future of human cultures and societies, the new major is inclusive and updated for the 21st century. Visit the website to learn more about this program. The Middle East Studies program officially launches this semester. 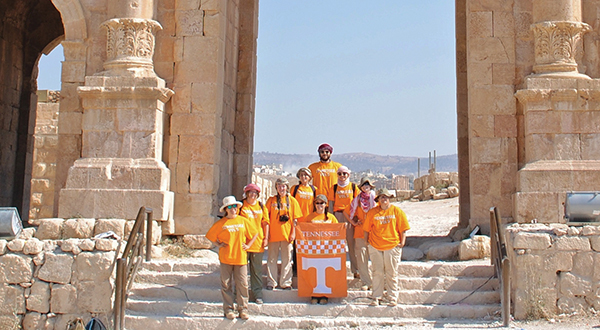 The goal of this program is to provide students with interdisciplinary training in history, culture, literature, politics, languages, and religions of the Middle East. Graduates of the program will be prepared for a variety of careers related to this significant region of the world. For more information the program and affiliated departments, please visit the program website. In other IDP news, two programs are getting a change in leadership this semester. Maria Stehle, associate professor in the Department of Modern Foreign Languages and Literatures, is the new chair of the Cinema Studies program. Kristen Block, associate professor in the Department of History, is the new chair of Latin American and Caribbean Studies program. In May, faculty and staff in the Departments of Anthropology, Biology, Chemistry, and Earth and Planetary Sciences began a long-anticipated move into Strong Hall, a state-of-the-art classroom and laboratory building located on the corner of 16th and Cumberland. The grand opening event will occur Friday, September 8, and all college faculty and staff are invited to attend. Please click here to RSVP if you have not done so already. 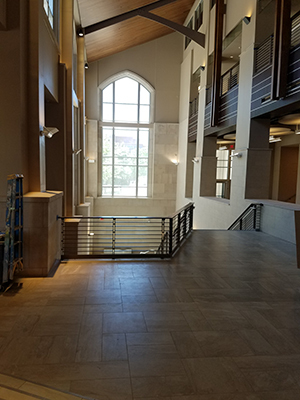 During the summer, students taking general biology and chemistry classes were the first to experience the new building, which is already getting interest from universities around the country. The classrooms are specifically designed to emphasize collaborative team learning. Faculty who teach in the lecture rooms design courses focused on interactivity and make use of the cutting-edge technology. Welcome back! I hope you had a great summer and are rested and ready for a new academic year. We have several exciting things happening this fall, including the grand opening September 8 for Strong Hall, our new state-of-the-art science building. I want to welcome the many new faculty and staff to our college and the UT campus. I look forward to working with you! I would also like to congratulate the newly tenured and promoted faculty, new department heads, and new IDP chairs on your positions. I am grateful for the added responsibilities you will take up this year as a result of your rise in status. We are finalizing the college strategic plan developed over the past year. A committee that included several students, faculty, and staff in the college collected information and feedback on our strategic priorities. The final document will be sent out in September to faculty and staff. Your input is important to the college, so please take time to read the final draft and provide your feedback prior to the faculty vote. We will also be publishing Dialogue once a month throughout the semester featuring a variety of stories, voices, and sharing more information within the college. If you have a suggestion for a story or an exciting news item, please email our communications office. Finally, September 22, we will publicly launch the most ambitious fundraising campaign in the university’s history: Investing in the Journey to the Top 25 Campaign. This bold undertaking will light the path for generations of Volunteers to come. 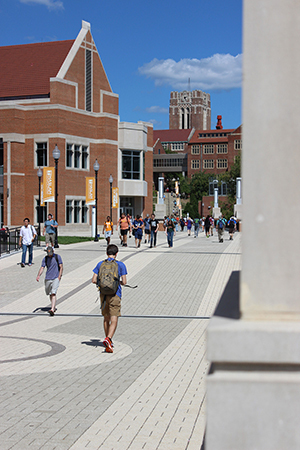 The launch event itself will feature hands-on exhibits and experiences showcasing the groundbreaking research and service of UT students, faculty, and staff. I hope you consider Joining the Journey! Thank you for all you do for the college! As always, if you have any questions or comments to share with me, please send me an email.